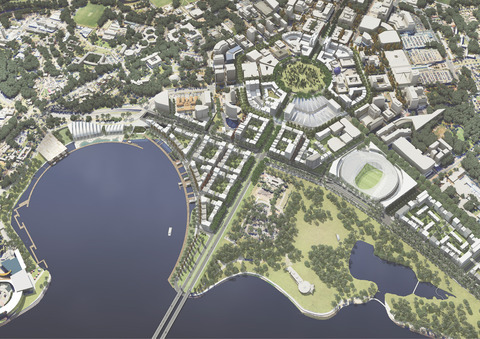 ACT PLAN: Canberra's to the lake combining Canberra's city centre to the lake and making city hill a well used central park and commerce area. 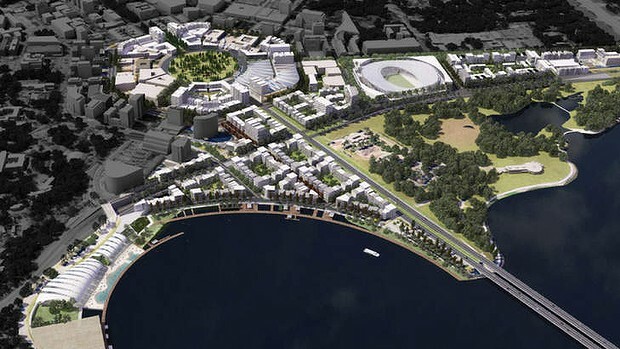 This plan will include prime land realises for businesses along the lake at West Basin and also around London circuit. This plan will connect the west basin to the city buy bridging over parks way as can be seen in the pictures which I think is a great idea. This development is hoped to make the lake and city more lively bringing alfresco dining and restaurants to the lake. This development also includes turning the civic swimming centre into a new ports stadium with around 30,000 seats and a roof allowing the venue to have more of a multipurpose due to it also being able to be used for concerts and other things. Also in Canberra the roof will be a handy asset to getting people to attend events especially in winter. This development will also included a revamped constitution avenue making it a real hub fro Canberra with a lot more shops, business, government buildings cafes and restaurants along it. Another problem I have with this plan is safety if you are going to start using city hill as a major park and place of commerce you need proper underpasses below the road to avoid accidents. What do you think? Let me know comment!